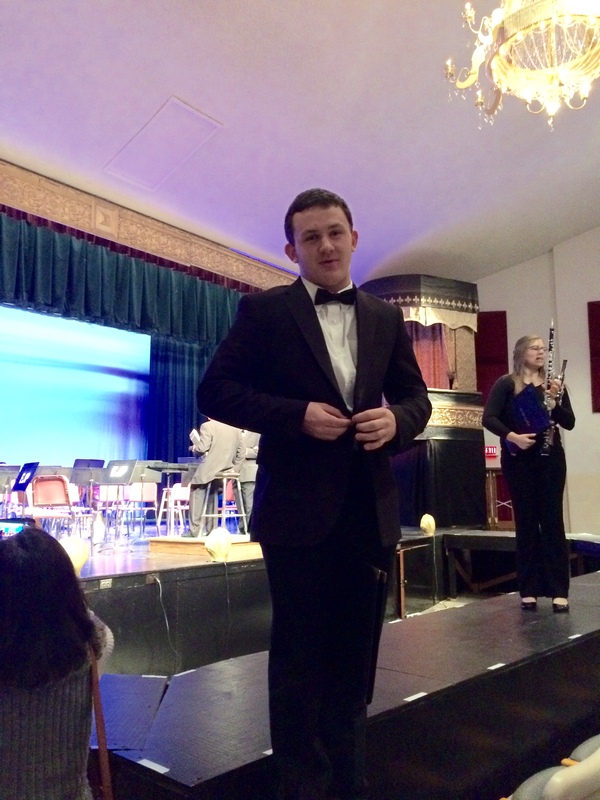 Posted on December 5, 2014 by staceyanderton1	in Features and tagged Erie Jr Philharmonic, Saegertown student. Jesse Stewart after the winter concert at General McLane High School on Dec. 2. Any mention of dedicated musicians or grand performances conjures the image of middle aged adults in an elaborate theater playing some famous symphony by a dead obscure Russian composer, the kind of event parents make us attend. This is not always the case, because some teenagers thrive on the warmth of the stage lights like sophomore Jesse Stewart. Stewart has been playing in the Erie Junior Philharmonic for two years. “There is nothing better than to be playing music with some of the best musicians all around the state,” said Stewart. The Junior Philharmonic is an ensemble composed of strings, woodwinds, brass, and percussion. It has students from twenty five schools including representation from all in the PENNCREST district. Jesse Stewart is the principle (first) tuba chair. Their most recent performance was Dec. 4, the Winter Ensemble Concert, where they played a wide variety of classical music. “The long hours of rehearsal really paid off. The music selection was one of our best. After the many weeks of rehearsal everything came together. I loved playing the Dubinushka,” said Stewart. The next concert is April 26, 2015.